Debt-ravaged Jet Airways India Ltd., the country’s biggest so-called full-service airline, is selling a majority stake for Re 1-- a little more than 1 US cent. It’s part of a bailout plan by its state-owned lenders that will give the airline time to arrange fresh equity. The complicated arrangement is on track to be voted through on February 21, in what would represent the rescue of one of the country’s most visible companies at a sensitive time, with India’s general election just weeks away. 1. What is Jet Airways? It’s consistently been one of India’s top three airlines in the past decade. Jet Airways was founded by ticketing agent-turned-entrepreneur Naresh Goyal after India ended a state monopoly on aviation in the early 1990s. It’s now 24 per cent owned by Abu Dhabi’s Etihad Airways PJSC and controls 13.9 per cent of India’s market, one of the fastest-growing in the world. Jet Airways also flies to international destinations including London and Singapore. 2. Why is it in trouble? As a slew of budget carriers started flooding the market in the mid-2000s, offering no-frills, yet on-time flights, Jet Airways began dropping fares, some to below cost. On top of that, provincial taxes of as much as 30 per cent on jet fuel added to its expenses, while price-conscious Indian travellers refused to pay a premium for on-board meals and entertainment. Unlike budget operators, full-service airlines such as Jet Airways offer such amenities mostly for free. Jet Airways lost money in all but two of the past 11 years and has Rs 72.99 billion ($1 billion) of net debt. While it didn’t separately disclose cash and cash equivalents as of December 31, Bloomberg calculations show the airline had about Rs 3.55 billion of cash at the end of last year. It defaulted on loans that were due by December 31 and has delayed payments to staff and lessors. 3. What is the proposed deal? A group of lenders led by State Bank of India has proposed taking a 50.1 per cent stake for Re 1 through the issuance of 114 million new shares, a maneuver that’s allowed under a framework outlined by the Reserve Bank of India last year. The procedure, applicable for companies with a negative net worth, is called Bank-led provisional resolution plan, or BLPRP, and it needs to be approved by all lenders, a banking industry group, founder Goyal and the board of Etihad. The structure, however, is expected to be temporary, allowing the airline to raise equity from investors, which in turn would alter the shareholding pattern. Jet Airways, which requires some Rs 85 billion to get back on its feet, now needs to bridge that gap through fresh equity infusion, debt restructuring and asset disposals, such as selling aircraft and leasing them back. While the bank deal is nominally a conversion of debt into shares, debt levels will come down only by Re 1 once the exercise is completed. 4. Who will invest fresh equity? Jet Airways management has given scant detail, but said lenders will also participate in an equity issuance round beyond the already allotted 114 million shares. 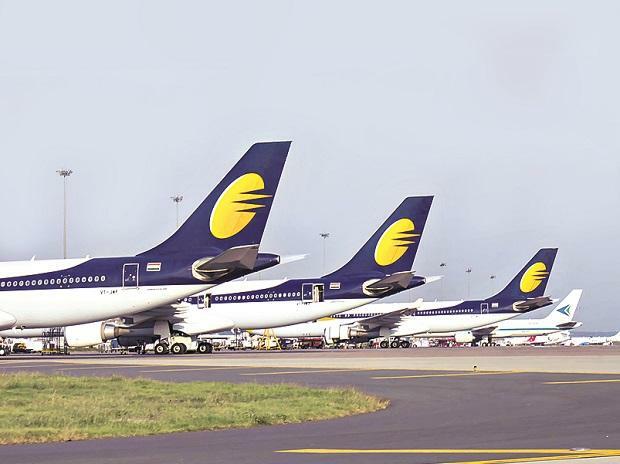 Jet Airways has held talks with Etihad and Indian conglomerate Tata Group, while Goyal has offered to pump in as much as Rs 7 billion, if he retains his 25 per cent, Etihad may invest about Rs 14 billion and retain a stake below 25 per cent, while India’s National Investment and Infrastructure Fund may bring in as much Rs 13 billion, television channel ET Now reported, citing unidentified people. 5. Why is it important to rescue a private company? Prime Minister Narendra Modi faces an election within months, and the collapse of an airline -- with 23,000 jobs at stake -- would put a dent in his business-friendly image and fuel criticism that he’s failed to deliver on promises about creating jobs. Mumbai-based Jet Airways’ disappearance would also likely push up airfares -- it flies to 37 destinations across the country. The sensitivity of the matter was highlighted last year when Modi’s government reached out to the Tata Group seeking help. 6. What’s at stake for Etihad? A lot. The struggling Abu Dhabi-based giant has scrapped routes and cut thousands of positions, putting the brakes on a costly expansion after almost $3.5 billion in losses in two years. It just slashed orders worth $21.4 billion for Boeing Co. and Airbus SE jetliners, after a strategy of buying into sick airlines around the world backfired. A healthy Jet Airways would feed traffic to Etihad’s base in Abu Dhabi, flying west-bound Indians to the US and Europe. 7. How are others doing? The airline business in India is notoriously difficult, with cutthroat competition pushing base fares to as low as 2 cents. Kingfisher Airlines, founded by beer tycoon Vijay Mallya, ended operations in 2012 after failing to clear its dues to banks, staff, lessors and airports. SpiceJet Ltd. almost collapsed two years later before its founders returned to gain control and revive the company. State-run Air India Ltd. is surviving on bailouts worth billions of dollars. Apart from Etihad, Singapore Airlines Ltd. and AirAsia Bhd. have also set up local ventures, but they are all loss-making. There’s one exception: IndiGo, operated by InterGlobe Aviation Ltd., has managed to consistently make money with a tight lid on costs and lucrative maintenance and engineering contracts negotiated as part of large aircraft orders.